Blood chemistry testing provide a vast amount of information regarding the internal state of the body and could disclose information about disease states which either exist or are likely to develop, or you are in healthy functional state. There is no better health screening which is more efficient than a comprehensive blood chemistry. 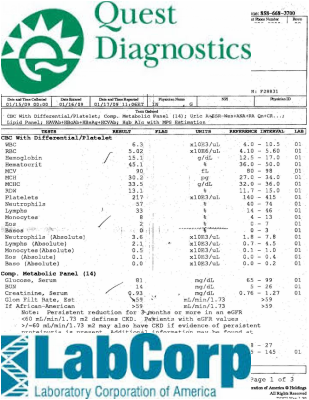 Common markers on comprehensive blood chemistry tests give a broad range of insights for blood sugar control, anemia, and iron issues, levels of blood cell types (including red blood cell, white blood cells, and platelets), renal function, electrolytes levels, liver function, bone health, protein digestion, thyroid health, coronary risk factors and lipid profiles. In today' s world, most doctors will not run this level of in-depth-comprehensive testing but tend to run only very basic panels or markers. This is most likely due to limitation from insurance carries and a general lack of intent of focus on disease prevention or optimization of health state. Urinalysis is a very useful test in the diagnosis and screening of may conditions, such as urinary tract infections (UTIs) or kidney stones, and liver disease. It can be used to monitor the progression of disease such as diabetes and high blood pressure. Evaluating the Cortisol circadian (24-hour) rhythm along with DHEAs provides an accurate testing assessment of adrenal function and can reveal maladaptation to stressors. Salivary (free fraction) hormone testing determines the bioactive value at the cellular level, thereby providing a functional assessment of the effects of environmental and physiological stressors. 4 Cortisols (Morning, Noon, Evening, Night), DHEA, Estradiol, Estriol, Testosterone, Progesterone, Melatonin are commonly assessed. This analysis determines the presence of ova and parasites such as protozoa, flatworms, and roundworms, Cryptosporidium parvum, Entamoveba histolytica, and Giardia lamblia antigen; bacteria, fungi (including yeasts), and occult blood; and Clostridium difficile clolitis toxins A and B. 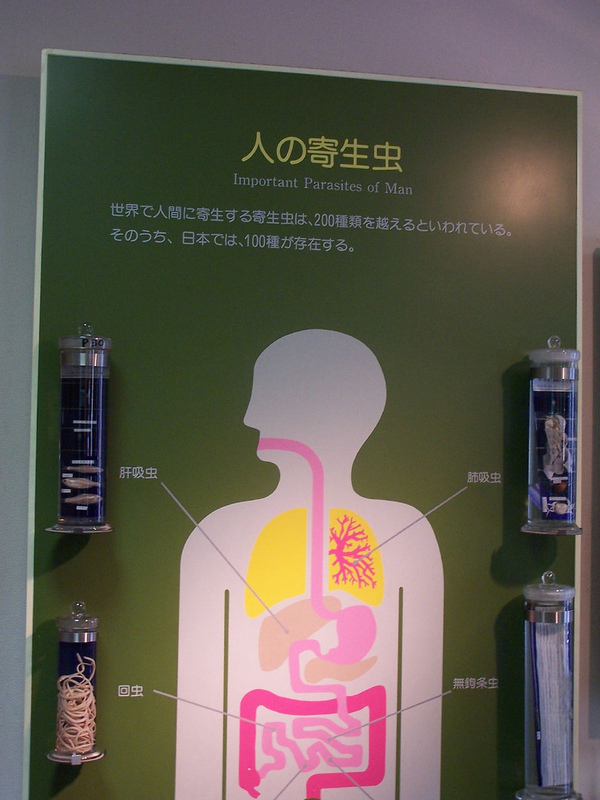 Sensitivity to pathogenic organism will be reported as necessary. Causes for concern are both an overgrowth of microorganism that are normally present in the intestines and the presence of microorganisms that are not normally present in the intestines. Either condition signals that major physiological pathways in the intestinal environment are outside homeostatic limit. Parasite infections in particular can be silent but destructive, perpetuating chronic stress on the infected individual 24/7 by raising cortisol levels and causing inflammation. Treatment protocols using natural method and/or prescription drugs are often necessary to resolve infections. This profile measures the levels of Indican, Lipid peroxides, and Urinary Bile Acid Sulfates (UBAS). It involves the analysis of a single urine sample. American Journal of Gastroenterology Identifies gluten sensitivity as a "No-Mans Land"